1. Our line of work is built on the value of relationships and opportunities; what have you found is the best way to communicate in times of conflict? I feel that talking with someone face to face is often best in times of conflict because it’s easier to read the other person’s emotions and the give and take helps to resolve the conflict faster. I think that it can be very easy to misread an email or text and can drag something out longer than necessary. 2. Sometimes our careers can be demanding; how do you wind down in the evenings to maintain a balanced lifestyle? Knitting and Sewing are two of my hobbies that I like to do in the evenings to help me relax. There’s something about working with my hands and the rhythm of the needles that gives me meditation. I also love to cook with my fiancé and play with my cats. 3. In 2018 technology is at our fingertips - what is your favorite app and/or website? I am a huge fan of Instagram. I’m a very visual person and love the way that you can communicate through photos. A website that helps me daily is the Missouri Botanical Gardens Plant Finder because their information is highly credible and accurate. If you need to know something about a plant, then you need the Missouri Botanical Garden. 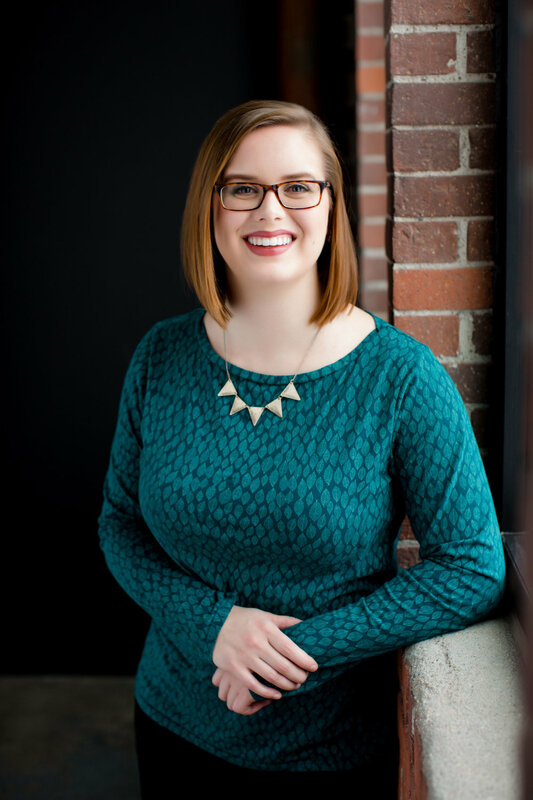 When I first moved to Des Moines I became involved in Young Professionals Connection because I didn’t know anyone here and wanted to become involved in the community. I made a ton of friends, joined the marketing committee where I could put my design skills to use, and got to know and fall in love with Des Moines. As a non-native, I can officially call myself a die-hard Des Moines advocate. 5. We are Iowa Women in Architecture; who were the female role models that inspired you? My mother is my biggest role model because she’s always been a strong and fierce female. I would also say some of my female professors at Iowa State University helped to inspire me and kept me going when I wasn’t sure what I was doing. All the women in IaWia continue to inspire me and help guide me on my career path. The designers in this City are amazing in how they balance their work and outside lives.